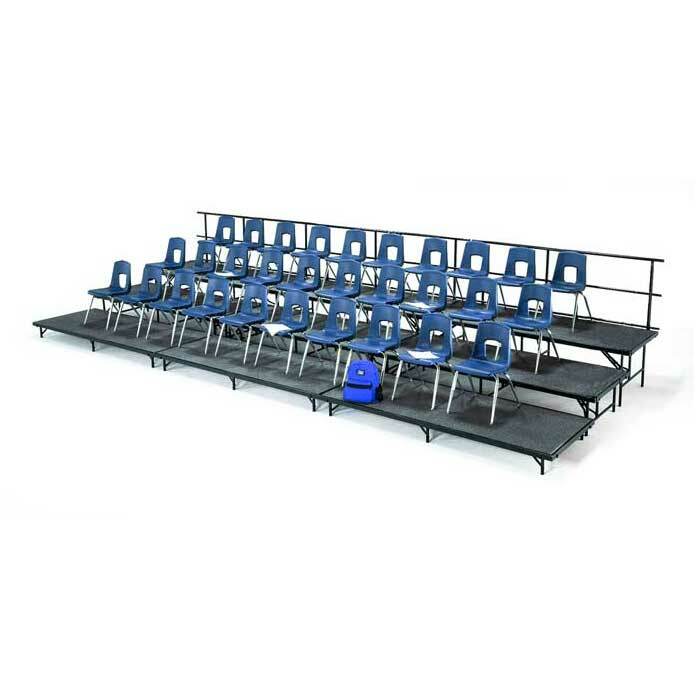 Guard Rails for Mobile Stages by Midwest Folding Products attach to your stage to prevent students from dangerous trips and falls during performances. Two bolts secure the heavy-gauge steel tubing rails to the frame of your stage or riser. 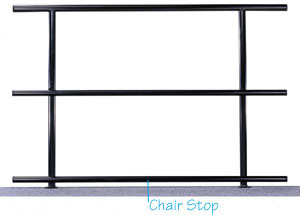 Chair stop prevents chairs from being pushed off edges of stages and risers.